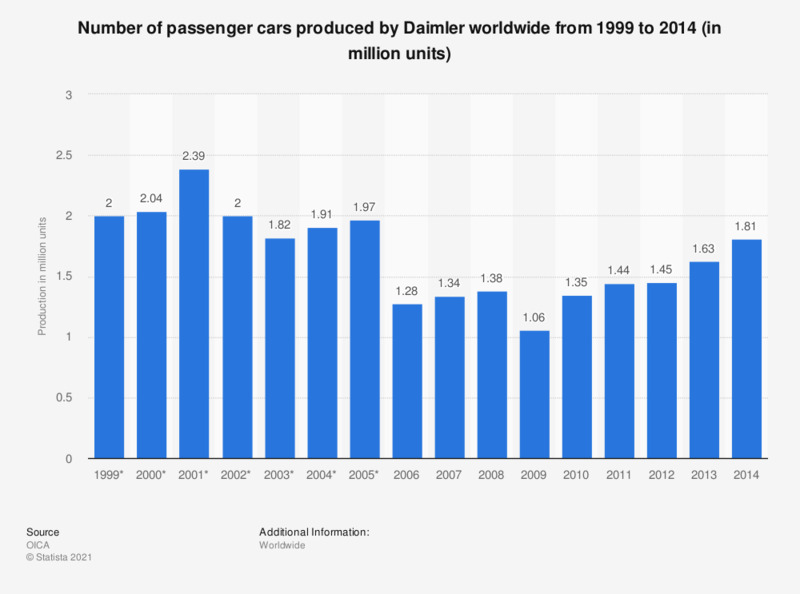 This statistic represents Daimler's worldwide motor vehicle production from 1999 through 2014. Globally, the German manufacturer of trucks, buses and luxury cars produced about 1.6 million passenger vehicles in 2013. The figures for 1999 through 2013 are taken from previous editions of the publication.